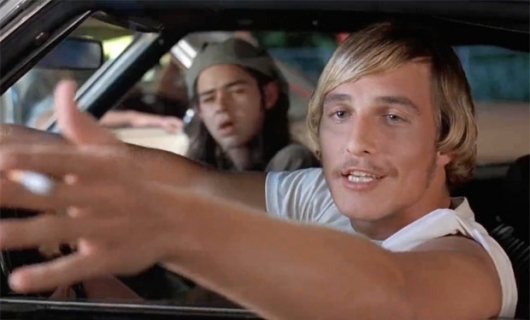 Academy Award winner Matthew McConaughey got his big break in Richard Linklater’s 1993 coming of age film Dazed and Confused. The 2011 Criterion Collection Blu-ray Edition contained the actor’s early 90’s Dazed and Confused audition reel. Now, the Criterion Collection has just posted the audition online, so you can check out the 90-second video right here below! At the audition, the shaggy blond-haired McConaughey, who was an early 20s college student at the time, sported a black MTV Headbanger’s Ball t-shirt and ran his lines with eventual co-star Wiley Wiggins.